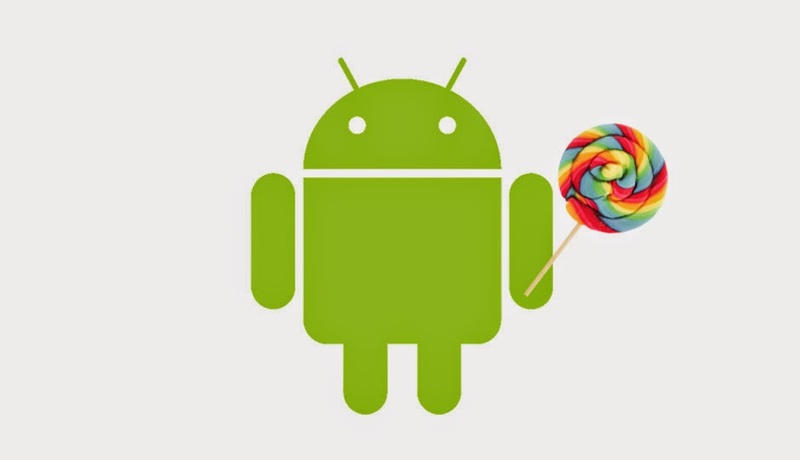 In the June Google previewed Android Lollipop or L or 5.0 at the Google I/O developer event. Everyone was excited for the final version and finally Android L was announced on Wednesday, 15 October. It has been launched for devices like Nexus 6, Nexus 9 and Nexus Player. The most prominent changes in the Android 5.0 release is a redesigned user interface built around a responsive design language called 'material design'. 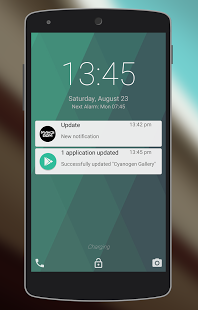 Developers have made changes in the notification system which allows notifications to be accessed from the lockscreen. Below is a short description of some newly added features or improvements in Android L.
If you can't wait for the new Android Lollipop then here are a few apps that you can try to get look like Android L or 5.0. 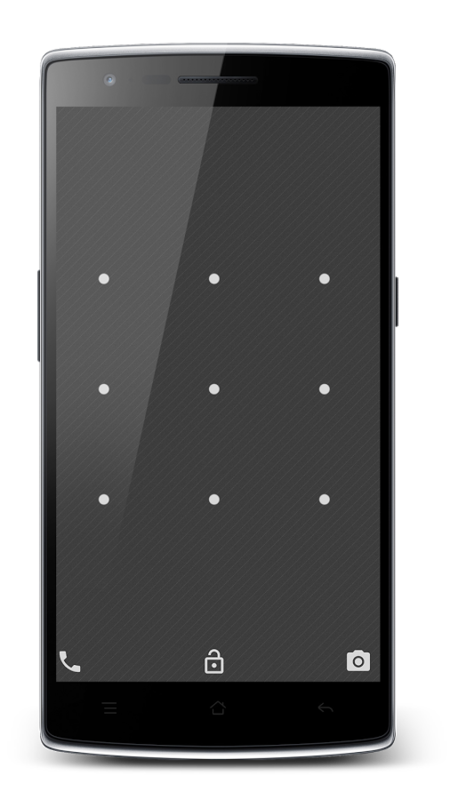 Swipe lockscreen up for music controls. Swipe lockscreen down to unlock. Swipe Lockscreen right for quick Camera access. Swipe Lockscreen left for quick Phone access. Setup a Pin code to stop friends from unlocking. Premium- disable password/pattern on WiFi. 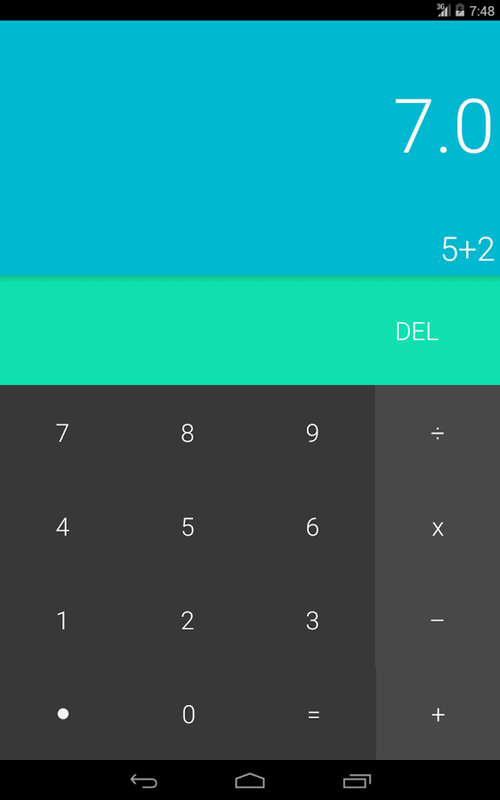 One of the most interesting feature of new Android L is it's material design. 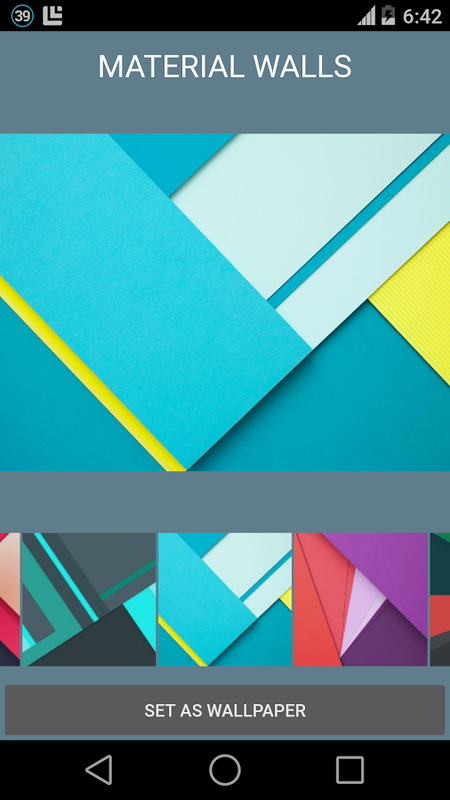 If you want to feel it on your Smartphone then here's a app called Material Wallpapers (Android L). It's an app which comes with some really neat looking wallpaper to give material design feel in your Smartphone. App contains 30 High Quality Handcrafted Wallpapers dressed in the famous Material Design / Quantum paper design. It will debut on the upcoming Android Lollipop (Android 5.0) by Google. All the wallpapers in the app are available in the perfect resolution for almost every device out there as almost all resolutions are supported. But the app isn't optimized for tablets till yet. To set as lock screen wallpaper (only on Samsung devices) , first set a live wallpaper on both the home screen and the lock screen and then set your favorite material wallpaper from the app. The wallpaper will be set to both the lock screen and the home screen. This feature cannot be added separately as its exclusive to Samsung devices. There is always a update in the dialer with the new Android update. And surely Android L is also having a new dialer with awesome neat and clean looking. 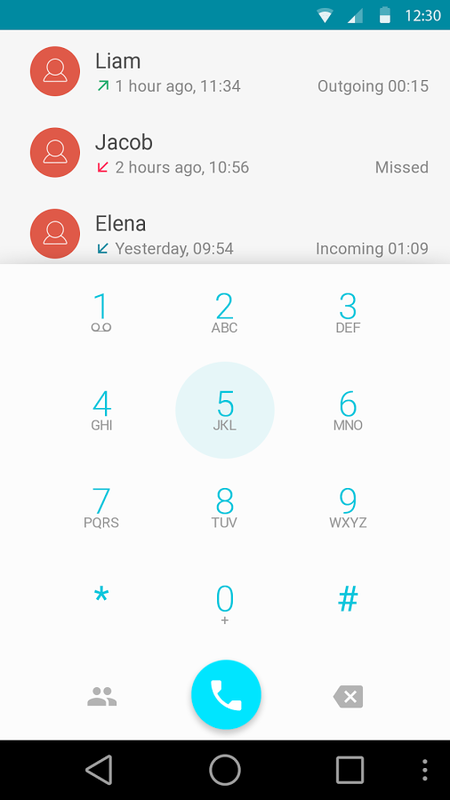 You can feel the new dialer with the app ExDialer Theme Android L. This app imitates Android L Preview dialer as much as possible it make for ExDialer. It has "circle" animation for pressed buttons and tabs. The first thing to be leaked about Android L was it's keyboard. This new keyboard looks less cramped and much more fluid. You can feel it with the app ai.Android L-Lollipop Keyboard. 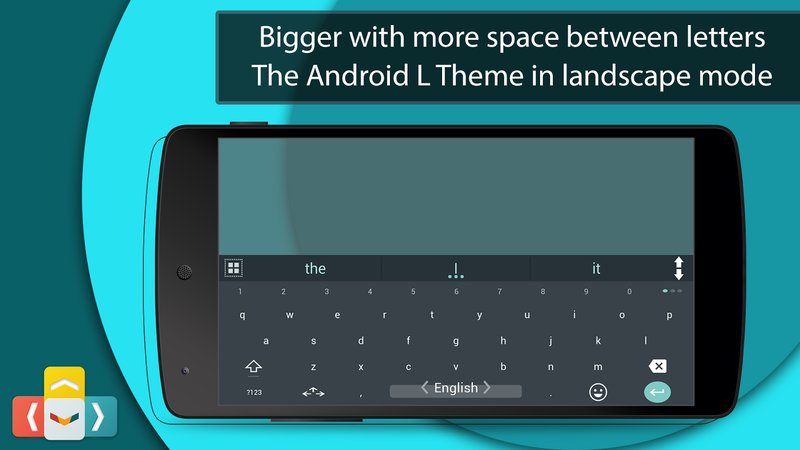 This keyboard theme is inspired by new material design of Android 5.0. In it Keys are not separated in a grid as the curves and lines of the letters provide the only needed visual cue. This flat design features bold buttons and a color palette is similar to Android Lollipop.